The Pilgrimgram: Ministry Flows Through Relationships. Some time ago, I had this image of a network of islands in a vast sea, connected by a variety of bridges. The islands are people, and the bridges are the relationships. Some of the islands have many bridges, some just a few, and a few islands have no bridges at all. 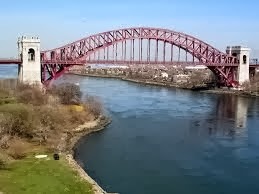 And the bridges are of all varieties. There are some rickety footbridges, some rope bridges or narrow wooden bridges. Some are just a fallen log. 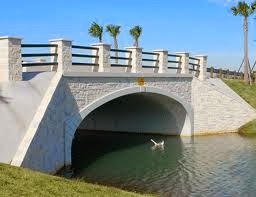 Others are well-made stone bridges, and there are a few modern steel or concrete bridges. “No man is an island,” or so John Donne says. Nobody is completely self-sufficient. I may produce quite a lot of what I need on my island, but there are some things that I’ll need from others. Besides, if I get by with only what I can make myself, then I subject myself to a very primitive lifestyle: no cars, no cell-phones, no laptops or toilet paper: none of these can be produced without heavy industry. If I want coffee, I can trade some of the things I make on my island (let’s imagine I’m a carpenter) with someone else for their coffee, but only if I have a bridge. But not just any bridge. 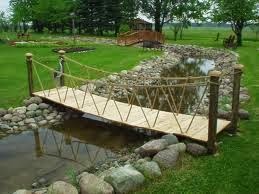 I need to have a bridge that I can carry my wood furniture over: the rope bridge won’t do. In fact, the fallen log is out, and many of the narrow wooden bridges. The guy with the coffee can make use of most of the bridges, but my work requires a bigger bridge. 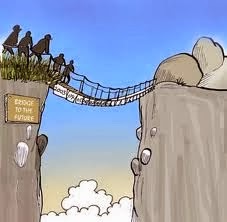 The stonemason on the next island over needs really strong bridges. I heard Rick Joyner say one time that when God sends him somewhere to minister, he’s always interested to see how they receive him. If they recognize him as a pastor or ministry leader, then there’s a certain amount of ministry he can bring. If they receive him as an author and a teacher, then there’s more he can bring. If they can accept him as a prophet, still more, and if they welcome him as an apostle, then he can bring the entire arsenal for them. Rick is looking to see what kind of bridge exists between himself and the people he’s ministering to. 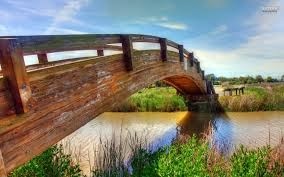 If it’s a smaller bridge, built with less trust or less understanding of the things of God, then he’s able to bring less ministry over the bridge, perhaps just the ministry of a pastor. After a number of visits, perhaps the bridge is strong enough to support apostolic ministry. If I don’t have any relationship with you at all, then it will be very difficult for me to minister to you, to strengthen you, encourage you, to equip you for the assignments that God has given you. Likewise, it’s nearly impossible for me to receive any strength or encouragement from you. 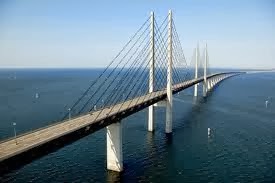 There are people I know professionally; most of them don’t have a bridge with me that would support a prophetic word or a revelation from scripture. When I speak with a group of people, the first thing on my agenda is to build relationship with them. I only have a few minutes with them, maybe an hour, so we have to work fast; I do that work with jokes, stories, illustrations. Fortunately, I have a teaching gift from God and the Holy Spirit loves to inhabit them: He makes the job much easier and faster, but it still takes time, and if I hope to carry something of value to them, I must have a bridge to do it! Even Jesus saved his heavy revelation for the Last Supper, after Judas had left to collect his 30 pieces of silver. Only there among his eleven most trusted friends did he share his most significant secrets. Those were the only relationships that were able to bear it. For a more scriptural example, let’s look at 1 Corinthians 3: It’s my opinion that this is essentially what Paul is saying: “Your end of the bridge isn’t substantial enough for this ministry.” They were acting like “mere men” which prevented him from teaching them weightier subjects. Same with Hebrews 5. The seven sons of Sceva may be an example of the bridge of relationship breaking because they tried to carry too much weight over it, but Stephen certainly is such an example. Recently, I needed to bring a very strong word of correction to a brother in Christ. I actually had the word two years earlier, but the word was heavy enough that our relationship couldn’t support it. We built a relationship over those years, and eventually he invited me to speak into his life on that subject, and when I did, our relationship supported the weight of the word: he made the needed changes in his life (it took a few years), and we’re still friends. Now we both speak into each others’ lives. Now the question is whether you and I have enough of a relationship to support this much meat? It’s not really a lot of weight, but then, we don’t have a lot of experience relating to each other either. Grandmothers and their Photo Albums.